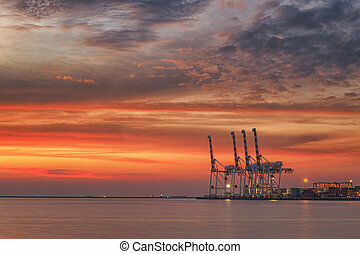 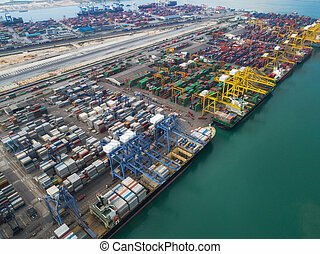 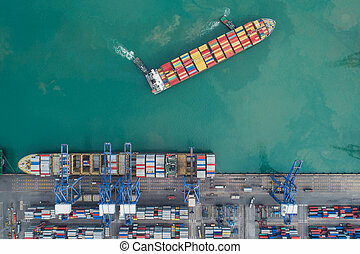 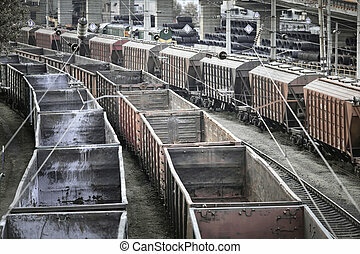 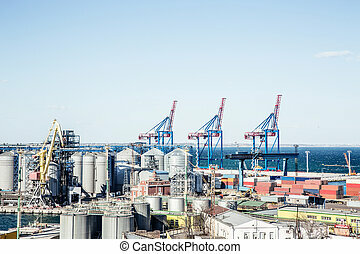 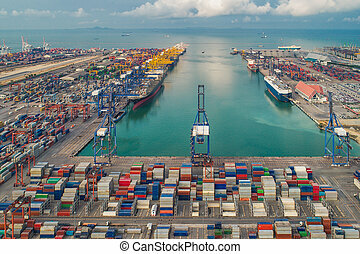 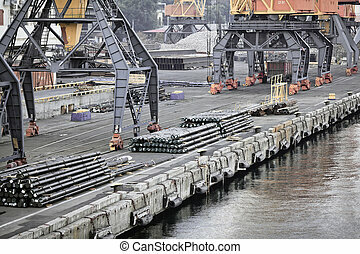 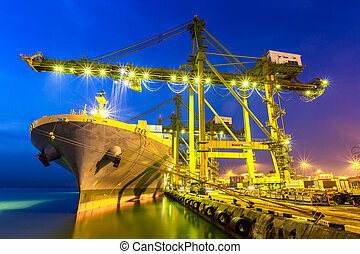 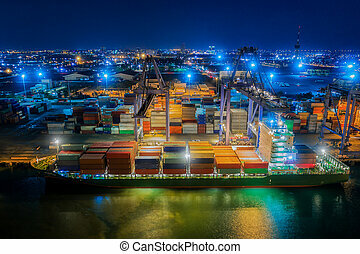 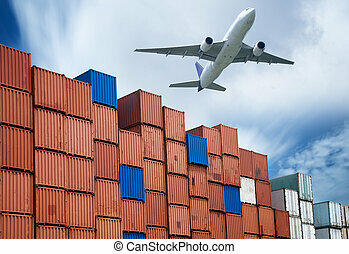 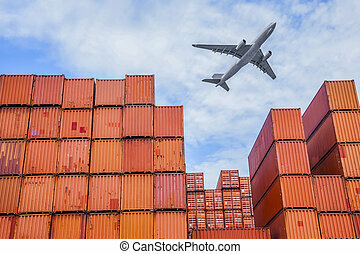 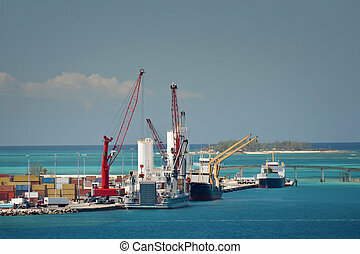 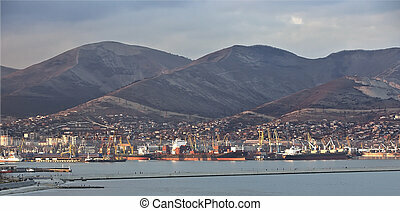 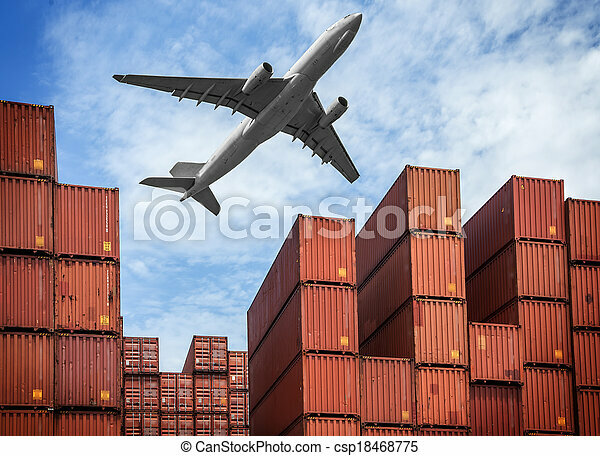 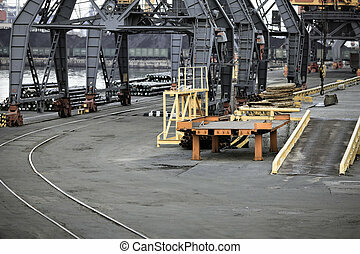 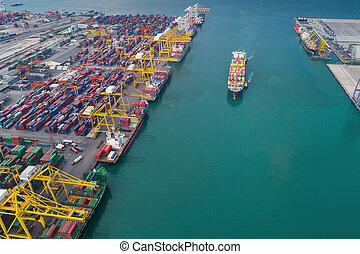 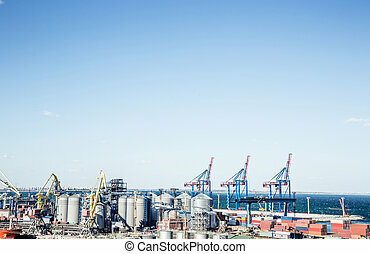 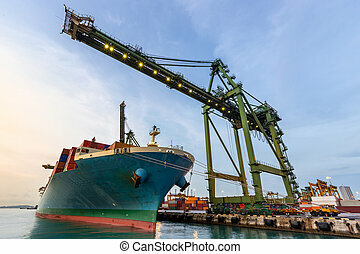 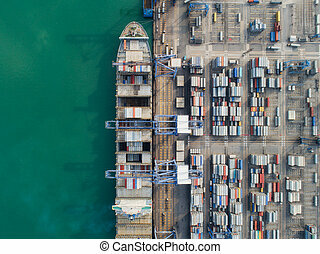 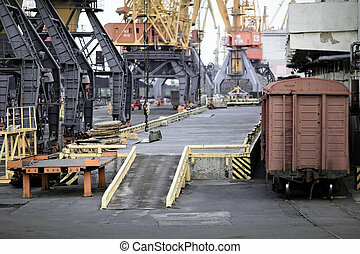 Industrial port with containers and air. 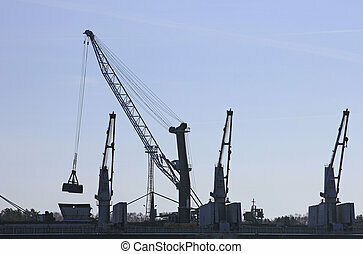 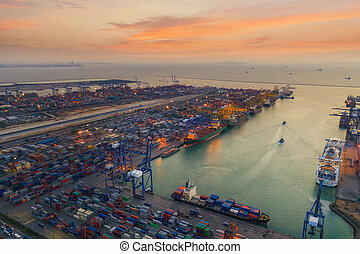 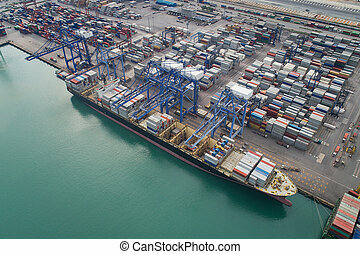 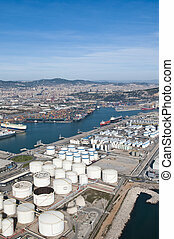 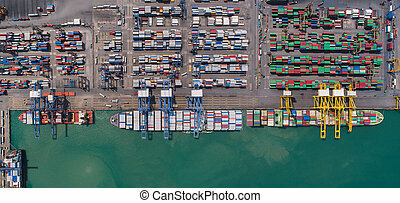 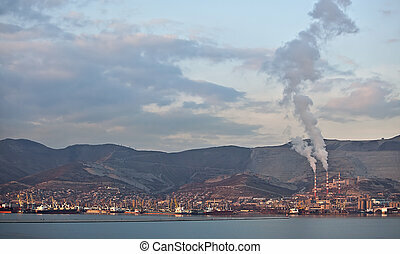 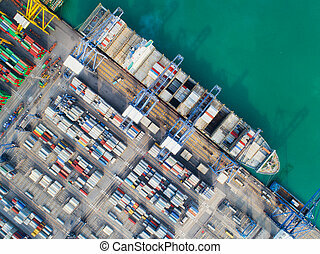 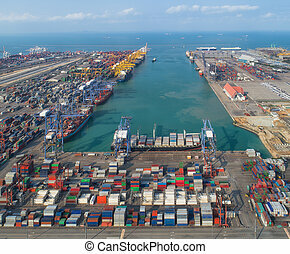 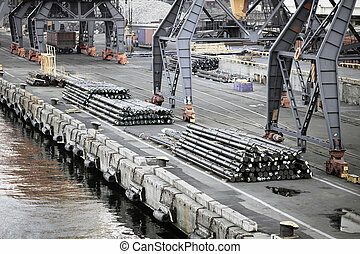 Barcelona\'s industrial port aerial view. 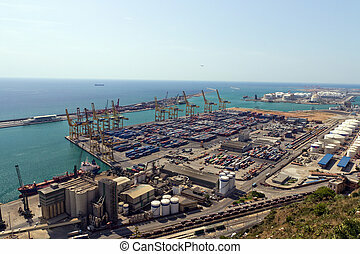 Industrial Port of Barcelona from Montjuic Mountain.